Laleh Images Portrait Design featured sessions, helpful information and relevant media, posted periodically on our blog. Aidan has the most adorable peach fuzz on his arms and legs, the most kissable little smoocher, and OH that hair! He slept like an angel through most of the posing, aside from a couple of short snack breaks. Babies are often extra hungry from the movement during posing, and we always account for that time during the session. One of my favourite things about photography (although let's be honest, it's darn near impossible to pick a favourite thing, because my job is just so much fun,) is sharing a video set to music with the clients at the reveal and ordering session, and being so blessed to participate in their emotional journey. 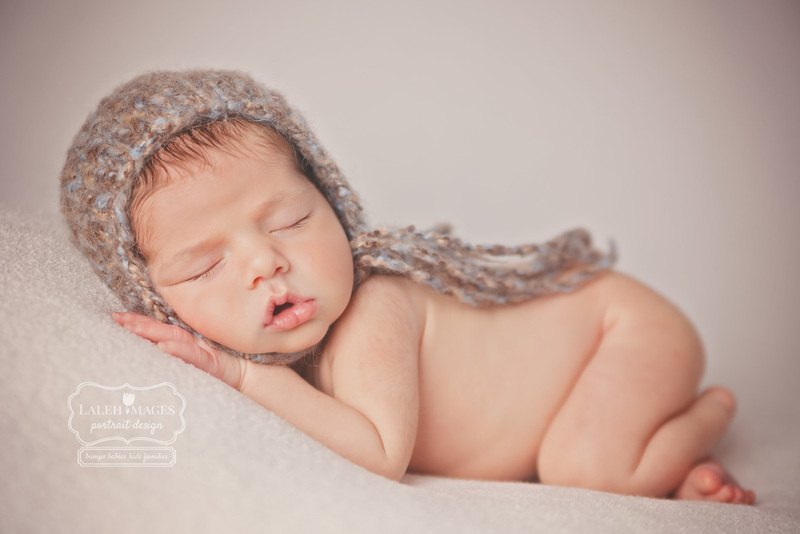 For newborn sessions this is extra special since their newness is only a reality for a VERY short moment of time. Here are some of our favourite images from the session. Enjoy!